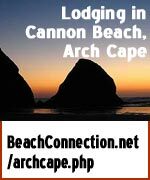 (Garibaldi, Oregon) – There is much more to the tiny town of Garibaldi than meets the eye - more than the gigantic “G” that overlooks this sleepy north Oregon coast fishing village. Including the fact it's deceptively sleepy: really, there's quite a bit of bustling going on here. 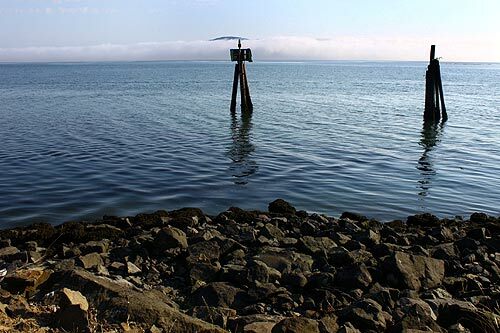 Lots of nooks and crannies are everywhere, in this little spot just a few miles from the beaches, along a tranquil bay with a surprising number of attractions and distractions as you wind along Highway 101. 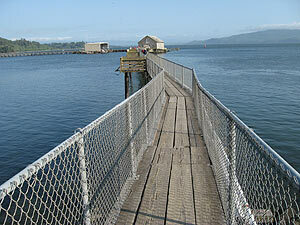 This is Tillamook Bay as you often first seen it, if you're coming from the north. 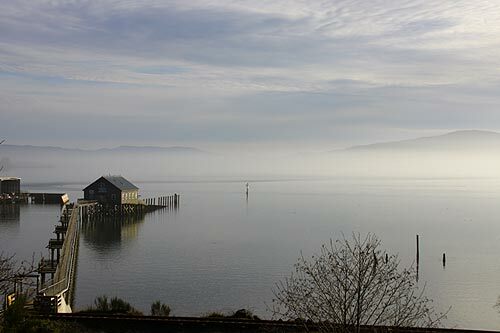 Always a placid place in many ways, even on a chilly winter day it can be much more so, as a light fog envelops the southern end and the big pier of Garibaldi stretches towards it. 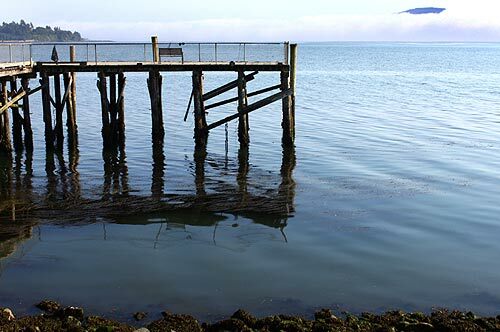 In summer, however, the bay here really lights up. 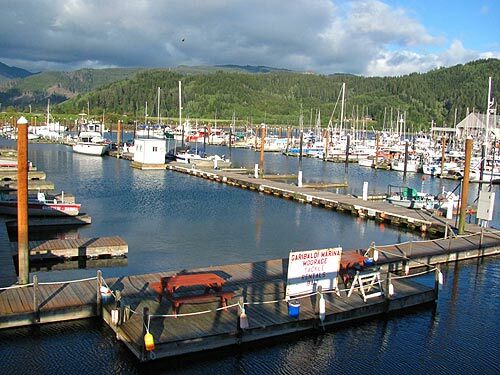 The various boats – commercial and recreational – sit silently and patiently in the calm conditions, awaiting their owners to come and take them out for a watery spin and perhaps some adventure. 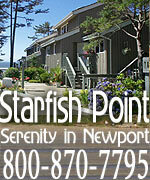 In springtime, that same bay lights up in a different way. 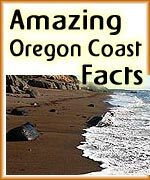 Those puffy clouds so typical of this time of year on the Oregon coast make for dramatic backgrounds. 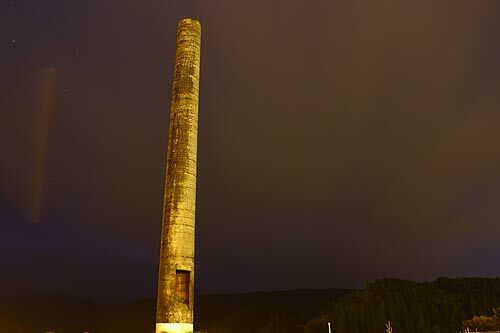 Of course, what exploration of Garibaldi would be complete without a good look at the great smokestack of the ancient town. 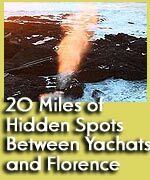 It was built in the 1920's by an industrialist named Hammond as part of the Hammond Mill, which he had recently purchased from a group that had gone under. 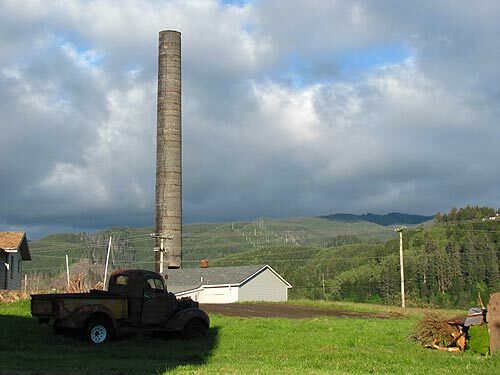 Known for his caring attitude towards the workers and the townfolk, the great smokestack was built by Hammond to keep the fumes of the sawmill from choking residents of Garibaldi. While the old mill is gone now, the smokestack has remained, thanks to the efforts of locals over the decades. This is what the stark oddity looks like at night. 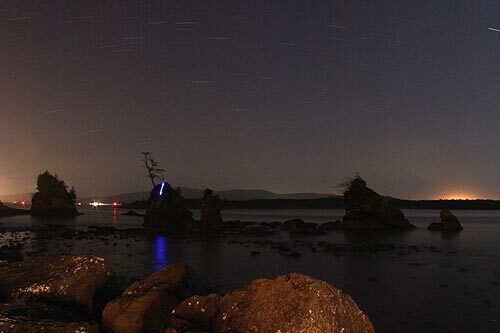 Also a glimpse of Garibaldi at night: here are the famed Three Graces rocks that grace this northern chunk of the bay, seen after dark. 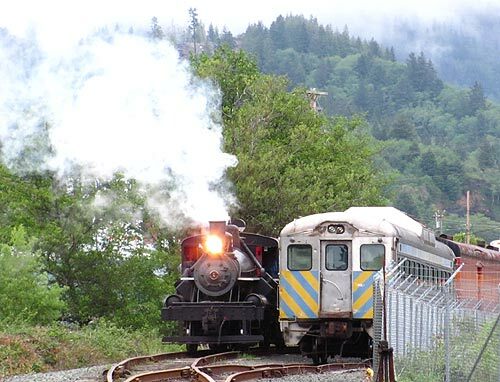 Another major attraction in Garibaldi is the antique train rides – the Oregon Coast Railroad. These ancient beauties ride the rails most every day in the summer and on a fairly busy schedule of specialized rides over the course of the rest of the year. More images of Garibaldi are below. 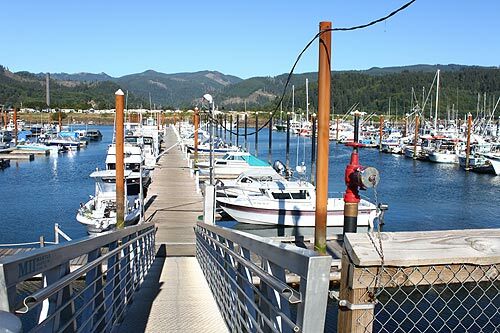 You'll find it at the northern tip of Tillamook Bay, just a stone's throw from Barview, and a few miles north of Bay City. 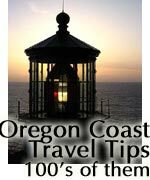 Keywords: Garibaldi, north Oregon coast, Rockaway Beach, Pacific City, Cannon Beach, Yachats, Depoe Bay, Newport, Lincoln City, Oceanside, Astoria, Nehalem, Wheeler. 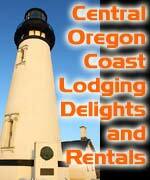 Find Garibaldi lodging, hotels and motels information below.